Hyundai must have spent some time here in Chico, because they share our same concerns about frugality and practicality. In this economy, the price of a new car can be a bitter pill to swallow, but the need for reliability and safety trump everything else. In the past, that’s left us all in a rock and a hard place, hasn’t it? Pre-owned vehicles of the previous century had something of a reputation for unreliability and unrepaired wear and tear. The truth is that in the past, pre-owned vehicles weren’t actually certified by the manufacturer. Hyundai, however, won’t stand for that. They demand these vehicles pass a meticulous 150-point inspection, conducted by the best, most skilled technicians they have available. This results in a new standard of pre-owned vehicle that really does seem like new in every conceivable way. They’re so confident in the quality of these vehicles that they include comprehensive warranties that still rival some of those offered with brand-new cars. Not only can you count on the vehicle, but you can count on Hyundai to back that vehicle up. 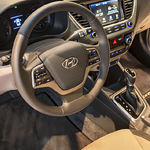 Come on over to Chico Hyundai today for a test drive, and see how Hyundai is redefining certified pre-owned vehicles.